Looks like a spider. Moves like a spider. 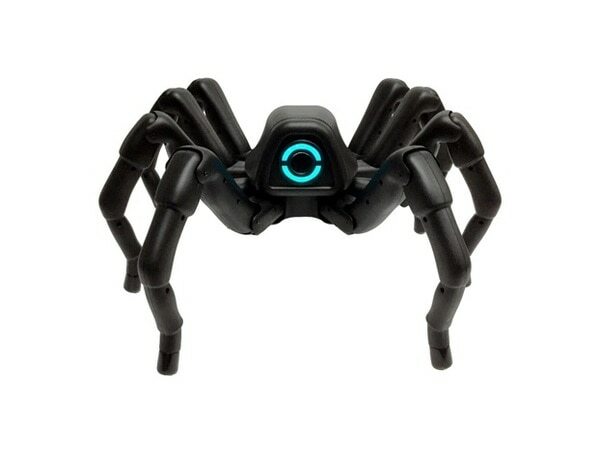 Aesthetically and behaviorally realistic, the T8X is the only robot in the market that combines so much resemblance to a real spider with fine movements, programmability, and customizability. With 26 servo motors packed inside the robot and powered by the proprietary Bigfoot™ Robotics Engine, which contains advanced robotics algorithms for controlling multi-legged walking robots, there are endless possibilities for the types of bio-inspired, realistic movements that the robot can make. All rights reserved. Robugtix® is a registered trademark of Robugtix Ltd. Trademarks or registered trademarks are property of their respective owners.